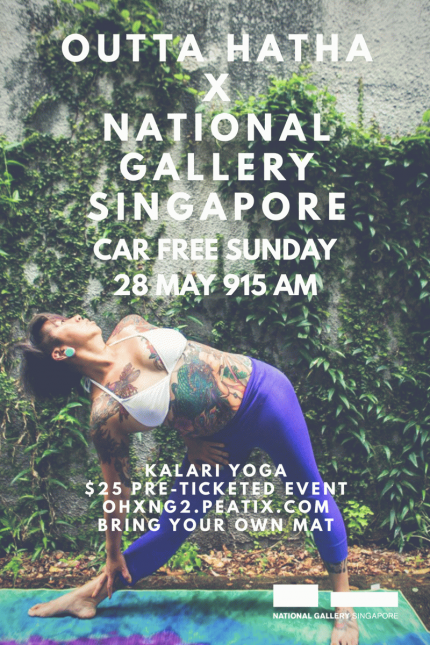 In our second instalment of our pop-up series at the National Gallery Singapore, we've invited Amanda Koh, founder of Kalari Yoga (Instagram: @amandakohkalariyoga) to share her practice with us. Strengthen, Release and Stretch out to sultry and sensual Beats in a flowing vinyasa that responds to the natural spiralling movements of the human body. 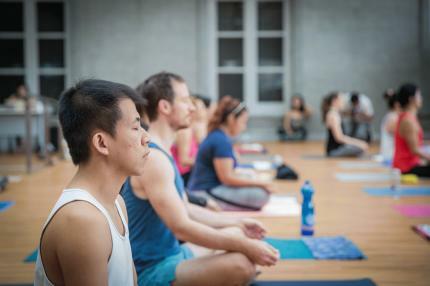 Uplifting, enabling and calming yoga flow leading into a grounding and liberating stretch and relaxation session in one of the most beautiful pop-up yoga spaces in Singapore. 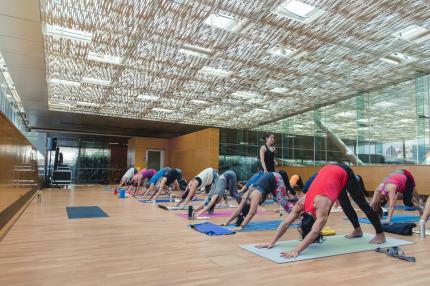 Kalari Yoga is a non-linear flowing vinyasa practice that manifests in spiralling undulations and responsive movement. 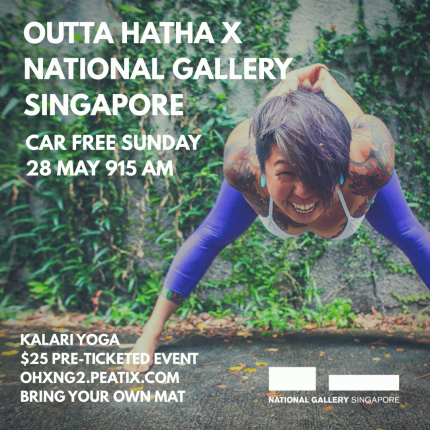 I created Kalari Yoga because I realised that Singaporeans spend their entire conscious lives following templates, set structures, keeping within borders and colouring within the lines. Breaking out of all of that, and discovering how liberating it is to feel free in a space where they feel safe to do so without judgement was something so fundamentally lacking that as a yoga teacher, social activist and art educator, I was able to provide and the response has been nothing short of amazing.